Aug. 30, 2013, 10 a.m.
After having trouble finding journalists ready for graduate-level computer science, the university is trying to build a bridge to quantitative skills. By Adrienne LaFrance @adriennelaf Aug. 30, 2013, 10 a.m. The journalism unicorn exists. I’ve seen one — even worked with one. Maybe you know the kind: a journalist who’s as nimble and dynamic as a reporter as she is with coding. Yes, journalism unicorns are out there, but they are rare — so rare that Columbia University has had some trouble attracting qualified candidates to a Tow Center for Digital Journalism program that offers dual degrees in journalism and computer science. Columbia is seeking a director for the program, which will teach students data science engineering, statistical concepts, and programming. Those who complete Year Zero aren’t guaranteed admission to the Tow Center’s dual degree, which may be a good thing. It means that journalists and other professionals at all stages in their careers might be able to benefit from Year Zero. The program isn’t limited to journalists or aspiring journalists, either. Hansen, whose background is in statistics, says Columbia hired him specifically because the university wants to improve its students’ “data-slash-computing-slash-algorithmic acumen.” Doing so will theoretically help Columbia meet three of its key journalism goals: remaining one of the best respected journalism programs in the country, serving as a pipeline to the industry, and leading the way among other schools teaching journalism. Hansen says the need for Year Zero says as much about how journalism is changing as it does about even larger social changes. Where journalists traditionally have used data to answer questions, computational literacy means being able to use data to ask them. 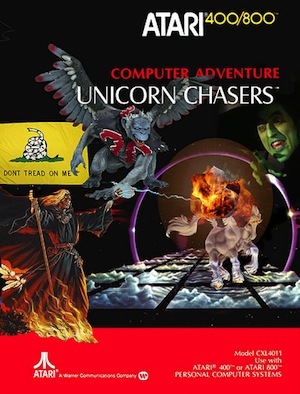 Photo of “Unicorn Chasers” by Timothy Krause used under a Creative Commons license. POSTED Aug. 30, 2013, 10 a.m.
LaFrance, Adrienne. "Columbia is launching a new post-bac program to breed journalism unicorns." Nieman Journalism Lab. Nieman Foundation for Journalism at Harvard, 30 Aug. 2013. Web. 23 Apr. 2019. LaFrance, Adrienne. "Columbia is launching a new post-bac program to breed journalism unicorns." Nieman Journalism Lab. Last modified August 30, 2013. Accessed April 23, 2019. https://www.niemanlab.org/2013/08/columbia-is-launching-a-new-post-bac-program-to-breed-journalism-unicorns/.